"This is a belated review regarding my experience with Kimberly Koll due to the fact that after moving into our new home which she obtained for us, I broke three bones in my spine area of my back and had an operation which set me back for two months or more. This was a great experience working with Kimberly. I found her by looking at homes being built and called the listed Broker on the sign and he referred Kim to me. She is one of the agents working at Pacific Sotheby's. I told what I wanted which was a home in the Seven Oaks area of Rancho Bernardo and definitely wanted a VA loan. I knew I had to have a pre-approval from the VA before looking at homes and she immediately referred me to Phil Joseph which was one of the many things that Kim did for me. I got approved within one week and then the search started for a new home since we are older and retired. Kim found several places to look at and we settled on the one we reside in on Roca Drive. The property was nice but the home needed extensive work to make it more modern and functional. We made an offer and then she had the Buyers thru their agent accept the offer as it was the maximum amount I would offer. She is an excellent person to negotiate with the other side and not only is she kind and nice but very effective in getting the other party to come around to her client's position. An sample is that although VA loans have no down payment you still have to expend at least $10,000 for costs etc which we did. Kim was able to get this amount of money back by having the Sellers pay for the replacement of certain items that the home needed. I got my $10,000 back thanks to her and her ability in dealing with the other parties. I certainly appreciated that she has this ability and firmness in her dealings. We moved into the house which needed new windows, new air conditioning and furnace, new floors and an entire paint job. Since I was fairly new to the San Diego area and did not know anyone to do this type of work, she recommended all the individuals that did the work and they did a first class job thanks to her and her getting involved for us. I cannot say enough about Kim and her ethics, salesmanship, ability to deal with people, but we have become friends and met her entire family. She puts in many hours to help you, does it cheerfully and ends up being your friend. I can highly recommend her and she is number one in my book. I have dealt with other relators during my lifetime and she is tops in my book, so please use her to find the right real property you want or want to sell. You will not go wrong." "My company relocated me so I needed an agent fluent in the relocation process and all the extra paperwork involved. From my first phone call with Kim I was super impressed, because she LISTENED. I admit, I was tough on her, asking pointed questions about the relocation process and her marketing strategy for my property even before we met and she saw my property. Then she did a follow up email that addressed my specific concerns, and even dropped of samples at my front door of the marketing material and paperwork involved so i could familiarize myself with it, also before we were scheduled to meet for her in person interview. Then, in person, she was so nice, organized, responsive, and truthful. She managed my expectations and kept it real. I had a short timeline, so within the week we had my property professionally photographed, staged and listed for a mega open house launch. The next week we received multiple offers! She continues to go above and beyond all expectations, remains so responsive to all my questions, and has guided me through this process with grace and understanding. I seriously could not recommend anybody more. She's amazing." "Kimberly was such a huge help in selling our home and buying our new home. She was there any time of the day to answer questions quickly and was always so pleasant. It is clear that she really cares about her clients and she made it such an easy process. We will definitely be recommending Kimberly to anyone we know who needs an agent." "Kim was referred to us by our relocation company. From the start Kim was very easy to work with. She helped us locate our dream home in a very competitive market. She was extremely communicative, and especially patient during the negotiation phase. She managed our high expectations and taught us a lot along the way. She was also a creative problem solver. After working with Kim we consider her a good friend and wouldn't hesitate using another realtor! " "I can’t thank Kimberly enough for the exceptional service she provided in selling my property. She took care of everything from start to finish with such care and efficiency. What could have been a tedious process was easy, seamless, and even… fun! She was extremely knowledgeable of the area and identified quickly what my property’s strengths and weaknesses were and did what was necessary to get the property on the path toward a great (and quick!) sale. I was unable to be in town/onsite during the selling process and she provided me video updates from the open house without me asking her to do so. That is just one example of MANY where Kimberly went above and beyond the call of duty. I feel very spoiled! I’m not sure anyone else can or will ever match her. A+ experience." "I reached out to Kim for help purchasing a home in 2010. At the time she was not available as an buyers agent, but was able to help me navigate the process, locate another agent with in depth knowledge of the area of town I wanted to purchase in, and locate a loan broker. Kim's knowledge, expertise and connections were invaluable!!!" "It was great working with Kimberly and I would definitely recommend her to others. She was prepared during every step of the process and was incredibly responsive to every question thrown her way. Kimberly walked us through every step of the process, which was key to finding us a home we love and closing quickly." "Kim landed us our dream home. I'm not sure we would be where we are if it weren't for her. She is everything we were looking for and more. She is honest, dependable, responsive, knowledgeable. Very easy to work with. She will be easy-going when the time is right but will also "go to bat" for you when necessary. She has become not only an expert who we look to for guidance but also a friend who we can trust. " We could not have asked for a better experience than we had with Kimberly in both selling our home and buying our new home. She went well beyond any expectations we had. Kimberly devoted countless hours to us and was reachable at any time of the day or night - and trust me, we reached out often! You will not find anyone more genuine, fair, and trustworthy than Kimberly. We will always use her in any real estate transaction from here on out and refer her to our friends and business partners! We were not an easy buyer, as I put Kim through a lot of extra steps to verify things about our property most buyers wouldn't bother with, and I had some unusual financing requirements; furthermore Kim stuck with us through several offers -- one which we backed out of due to inspection results, and another which we were not selected by the seller for, before we found our new home. The process was frustrating by its nature, but Kim was cheerful, helpful, and provided the same high level of service throughout the entire process. In the process Kim has become not just our realtor, but our friend. Kimberly is very knowledgeable regarding properties in the San Diego area. She addresses client concerns fully and timely. Kimberly is a candid and friendly agent to work with. I would highly recommend her to both buyers and sellers. "Kimberly is very knowledgeable regarding properties in the San Diego area. She addresses client concerns fully and timely. Kimberly is a candid and friendly agent to work with. I would highly recommend her to both buyers and sellers." "Kimberly is a San Diego native and extremely knowledgeable about local real estate! She is very driven and dedicated to her clients. She has assisted me in the past and I had nothing but top notch service." "I was recently in San Diego and looked into property outside the downtown area. I am inexperienced purchasing property outside my home area and was looking for someone who could provide more knowledge than what was available in the internet. Kim was such a pleasure to work with because she was able to speak to the school district, taxes and community living from her own experience. The most value that Kim added was she provided suggestions on small changes that would make properties I wouldn’t consider into a property that would fit my needs – this is the expertise I needed!" "My husband and I worked with Kimberly Koll while purchasing our home in San Diego and we could not have asked for a better experience. Kim understood our wants, needs, deal breakers, and budget, and found us our perfect home. As a military wife, I was on my own with many of the required tasks that come along with buying a home (and as a first time home-buyer this was pretty intimidating). As a fellow military wife, Kim could relate. She was there for me not only as my agent, but also as a sounding board while my husband couldn't be there. Once our offer was accepted, Kim walked us through every step of the process and we knew exactly what to expect and when to expect it. She answered every single one of my calls (and believe me, I called her A LOT). She built rapport with the selling agent, which is invaluable in such a competitive market; especially in a multi-offer multi-counter situation. Not only was Kim extremely professional, but also personable, relate-able, and HONEST. We consider ourselves lucky we ended up with Kim as our agent, and would (and will) recommend her to any one looking for a superstar agent. Thank you Kim!" 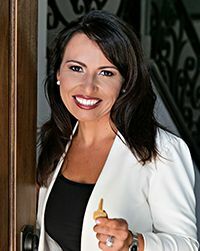 "If you're looking for Realtor who truly dedicates her services to her clients then you need to call Kimberly Koll. She is one of the most diligent and most compassionate person I've worked with and she follows through to ensure that the client understands the process each step of the way"
"Kim had such great insight into the 4s market and was always looking out for our best interest. Giving us a sneak peak at what was coming up on the market. Reliable, trustworthy and quick to help anytime I had questions." "Kim is a high-energy and creative real estate agent I would use and have referred friends to. She is knowledgeable and works hard to give her clients outstanding service." "My family and I had orders to move cross country from our duty station in Newport, Rhode Island to San Diego during a time when I was in Hawaii for 6 weeks looking for a SD home. Kim worked closely with me from afar and across multiple time zones to accommodate my family's needs over 6,000 miles of separation. Kim not only was raised in the area and is the local real estate expert, she's a military spouse and knows exactly what military families go through when it comes to relocating. She has a vast knowledge of the area and cares deeply about her clients. I would recommend Kim to any of my colleagues." “I’m so glad I had Kim on my side throughout the process of selling my condo. She was so helpful and patient in answering all of my questions, and I’m so appreciative of all the great advice she was able to offer me. It was encouraging to know she always had my best interest in mind from the day we listed, to the day we closed. The first buyer we had actually defaulted on the contract, but Kim was supportive and worked really hard to find another buyer almost immediately. As a result, we went back into escrow and had a hassle-free and successful closing. Thanks again Kim!"